Keep it simple and stylish with these effortlessly chic 9ct white gold diamond stud earrings, styled with an illusion rubover setting. Crisp, clean and contemporary for everyday sophistication. 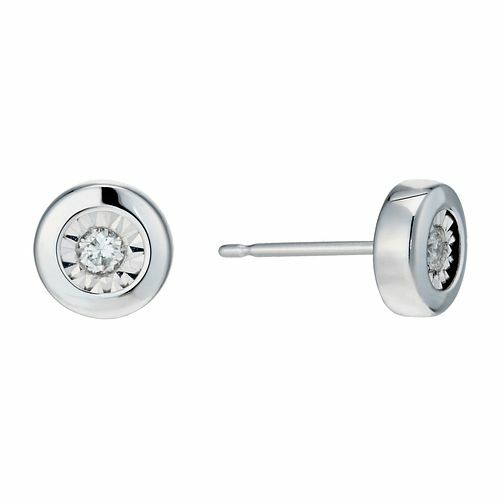 9ct white gold diamond rubover illusion set stud earrings is rated 5.0 out of 5 by 1.